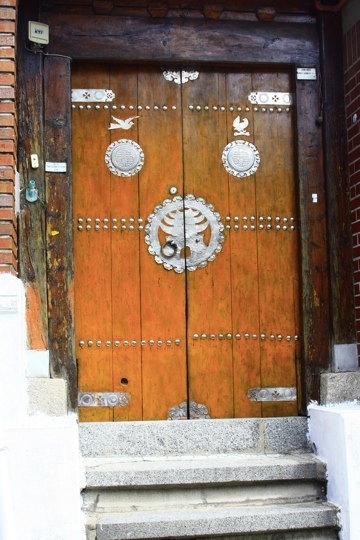 Tucked into the heart of Seoul, near the Gyeongbokgung Palace is the little village of Bukchon. 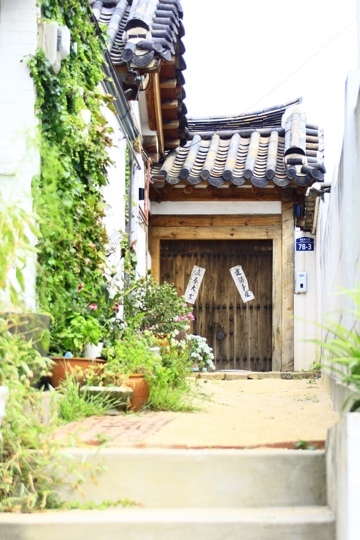 A few winding streets, on a small hill above trendy coffee shops and art galleries, are home to about 900 hanok, traditional Korean homes. 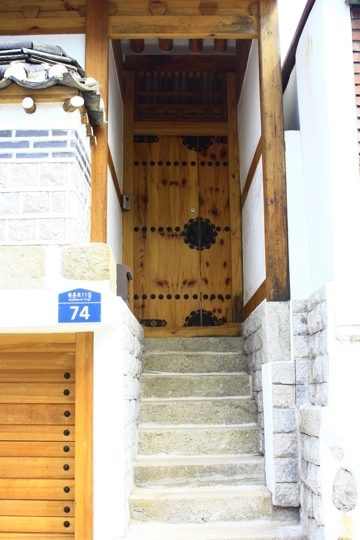 The hanok are built from wood, stone and plaster and have tiled roofs (thatched if they were peasant-class). 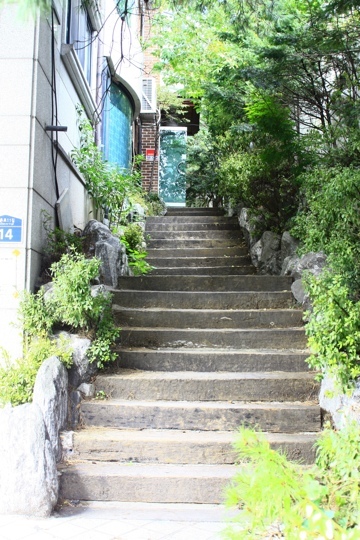 Behind the surrounding them is a courtyard providing ventilation and light to the surrounding rooms. 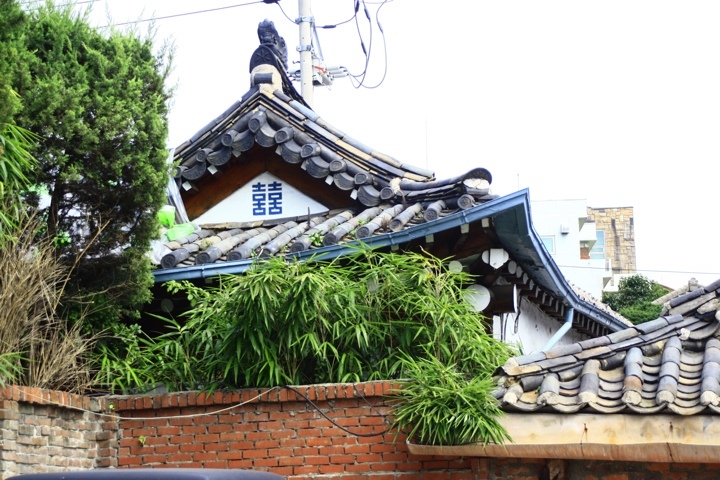 Increasingly, hanok are disappearing as the predominant view among Koreans is that such traditional houses are an anachronism in their modern country, unworthy of preserving. 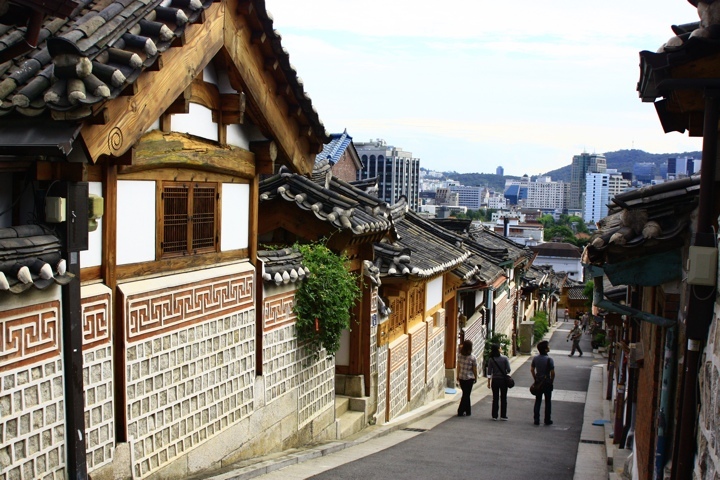 The area we discovered in Seoul is increasingly a tourist destination but it’s worth the wander to get a sense of the twisting streets and admire the ancient details contrasted with the modern city panorama. Happening all over. Sad. So beautiful. Only place I can think of that isn’t like this is Europe where people seem to live happily and proudly, although with most of the modern con plumbed in, in structures that are hundreds of years old. Hope you have landed safely and haveing a good snooze.